It is necessary to qualify before you can access the tasks in demand. This makes sense for both parties. The user is given a detailed explanation and can later perform the tasks more easily, quickly and better. The operator benefits from the fact that the defined task sectors are only offered to qualified persons who are able to process them reliably. Qualifications start with a so-called base training where the basics of the individual task sectors are acquired. The subsequent project qualification is then activated. There one accesses the detailed processing method and the issues of this specific project. You would like to earn some additional money? 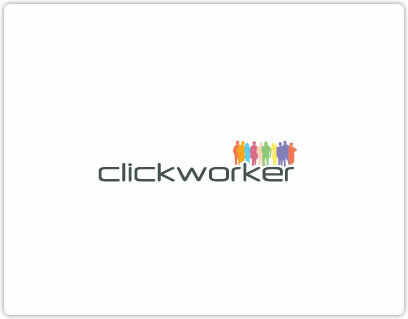 Then sign in and become a clickworker. These explanations refer to the author sector. To receive tasks in this topic area, a few questions are asked to test the English language knowledge of the prospective author. The goal is to complete all of the sentences listed. Multiple choices are displayed and the correct choice must be selected. The percentage is determined from the answers given in the test. It must not fall below the predefined percentage points. The next step is to write a text on a given topic. Individual remarks must be observed. Open tasks can be performed as an author after this challenge has been completed and the score is within an acceptable range. Why do my percent results vary? The percentage achieved in the qualifications you have taken can sway. It depends on the tasks performed. Variations can occur because they are proofread and corrected. If the corrector is entirely satisfied with the task, percentage points can be revised upwards. However, they can also drop if the task has not been satisfactorily performed. The percentage rate will not be affected if a task has been well performed. The percentage rate can rise to a level at which new tasks are activated. If the corrector is not satisfied with several tasks, the percentage rate can drop to a level at which these tasks are no longer available. The qualification can be repeated after a specific amount of time depending on the task sector; some qualifications can only be taken once. The exact repeat date can be accessed through the respective account information.